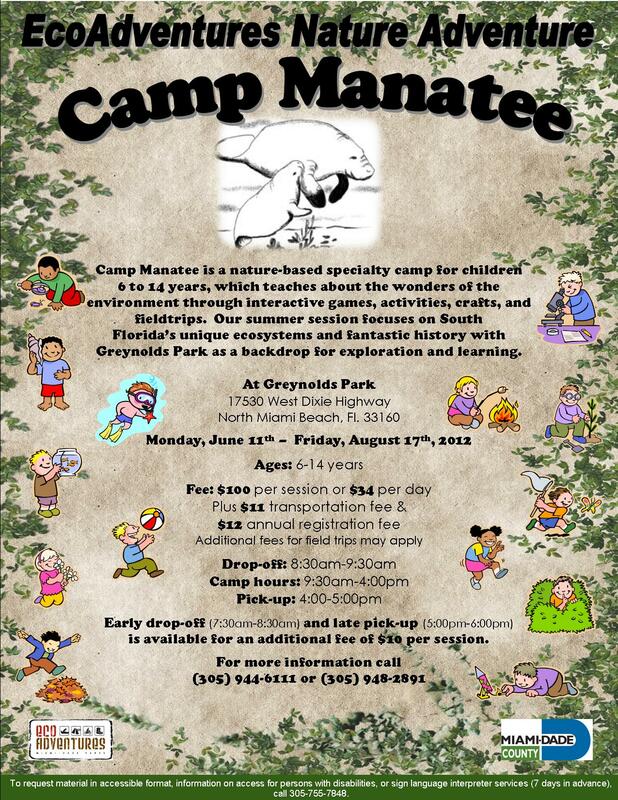 Camp Manatee 2012 – Space is Filling Up! It’s that time of year again! 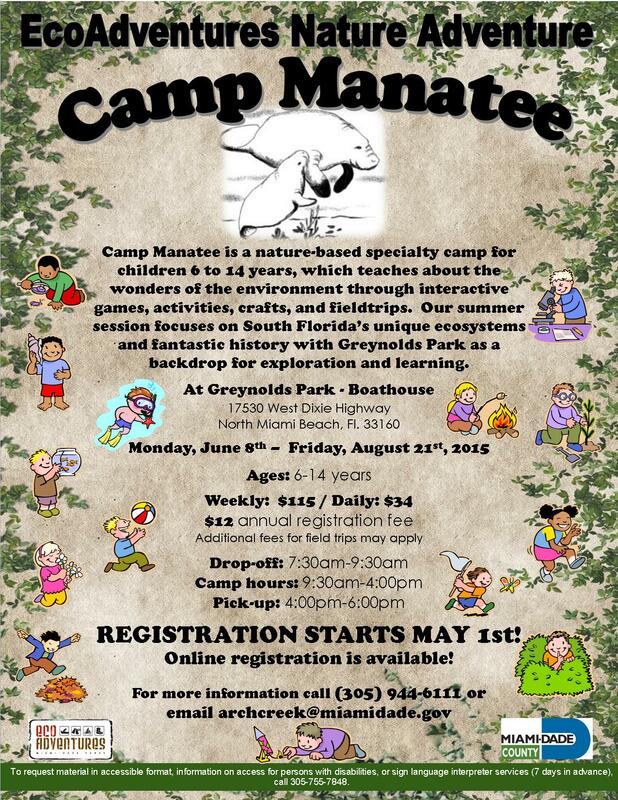 Camp Manatee will be hosting another fun-filled summer of activities for campers ages 6-14yrs. old. Registration has started! 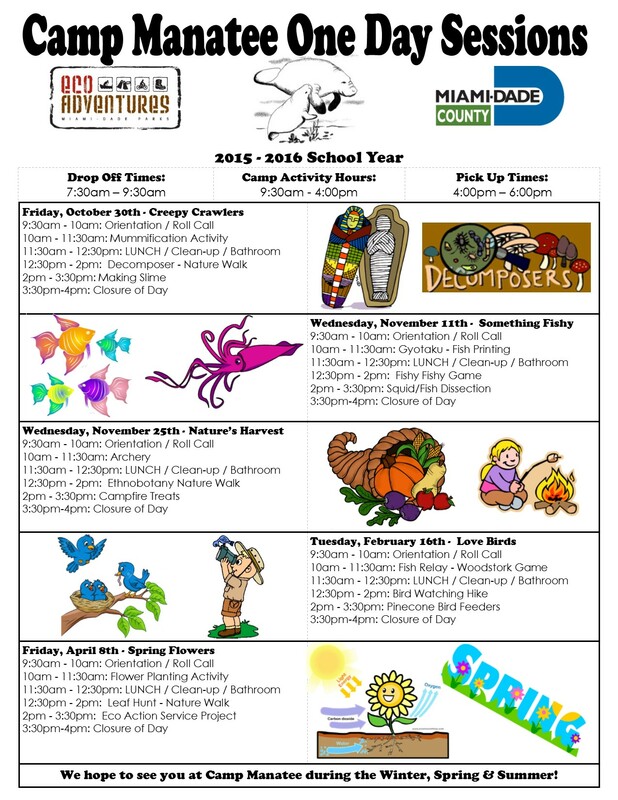 You can register your camper(s) on the weekends at the Greynolds Park Main Office from 9:30am to 4:30pm and will continue every Saturdays and Sundays until camp begins. 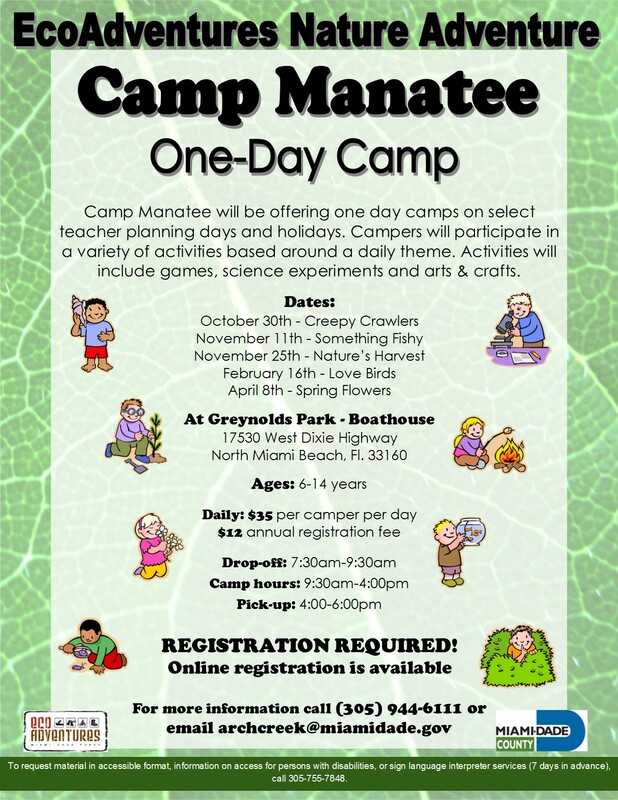 Space is limited, so make sure your camper(s) don’t miss out. Also please note the changes in our fees. There will now be a Before Care (7:30am-8:30am) and After Care (5:00pm-6:00pm) weekly fee of $10 as well as a transportation weekly fee of $11. Before Care and After Care is a fee for parents who need that service for their campers. Regular drop off time will be from 8:30am to 9:30am and pick time will be from 4:00pm to 5:00pm. 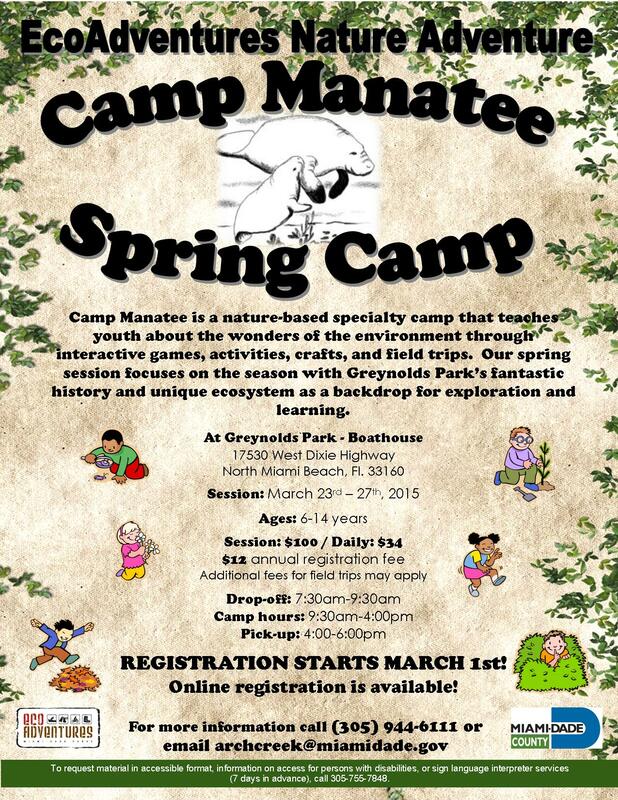 Camp hours will be from 9:30am to 4:00pm. All other fees remain unchanged. For more information you can visit https://archcreek.wordpress.com/camp/, check frequently for updates, i.e. parent manual, rules and regulations, schedule, etc.